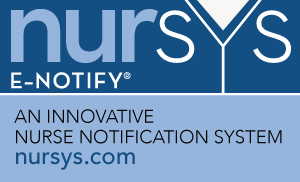 e-Notify for Institutions is a free of charge innovative nurse licensure notification system where you receive real-time notifications about nurses you employ. The system provides licensure and publicly available discipline data directly to you as the information is entered into the Nursys database by participating boards of nursing. e-Notify for Nurses helps nurses easily manage their licenses at no cost to them. Once enrolled, a nurse will get automatic notifications about license status, license expiration, license renewal or publicly available disciplinary actions or alerts. Licensure QuickConfirm is a free service that allows employers and recruiters to retrieve licensure and any applicable discipline documentation in one convenient location. See what boards of nursing are currently participating. The Nurse License Verification service enables nurses to verify their license(s) from a Nursys verification participating board when applying for endorsement into another state. Nurses can verify their licenses by completing the Nursys verification process for $30 per license type, per each board of nursing where the nurse is applying. The nurse’s license verification is available immediately to the endorsing board of nursing. Receive automated license expiration reminders and status updates. Available for institutions and nurses.